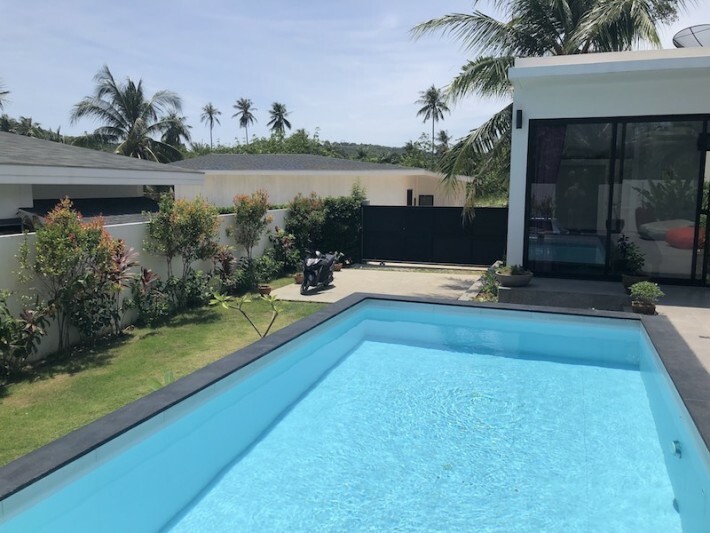 Located in a small and peaceful residential development and only a short drive from the village of Maenam, sits this private walled in Koh Samui villa for sale with a swimming pool and easy to maintain tropical garden. 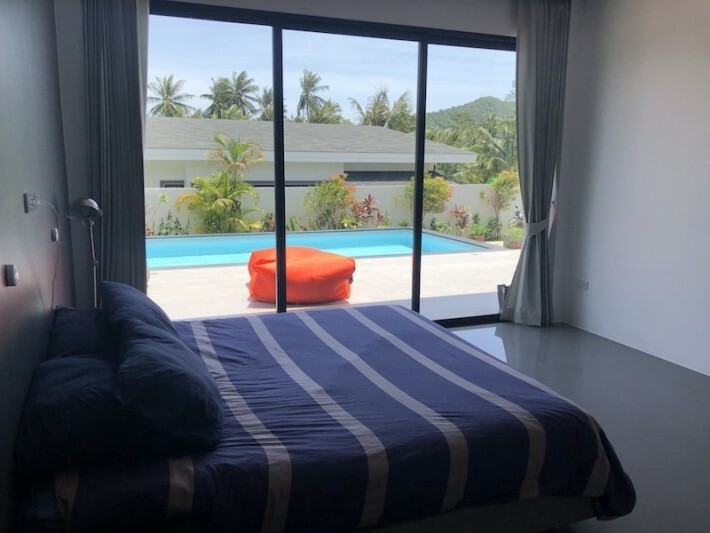 This L-shaped Koh Samui property for sale is arranged around a 28 sqm pool with a water feature and comprises of a spacious open plan living and dining area along with a fully equipped modern kitchen. 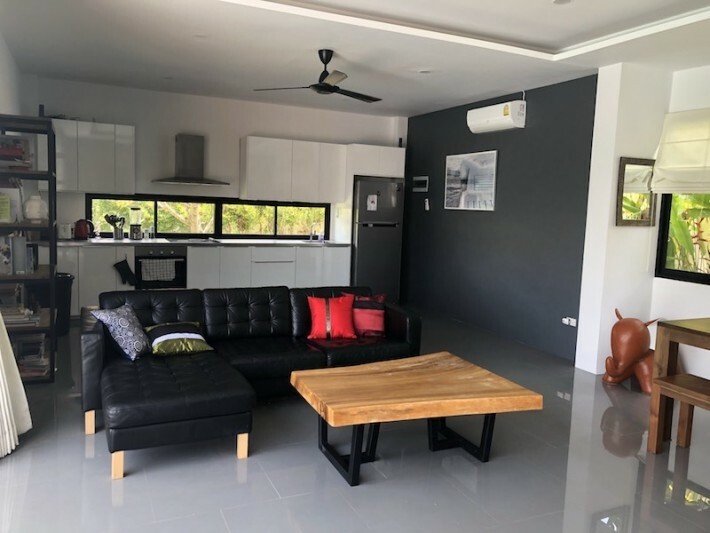 Located on each side of the main living area there are two spacious bedrooms both featuring built in wardrobes and ensuite bathrooms with rain showers. 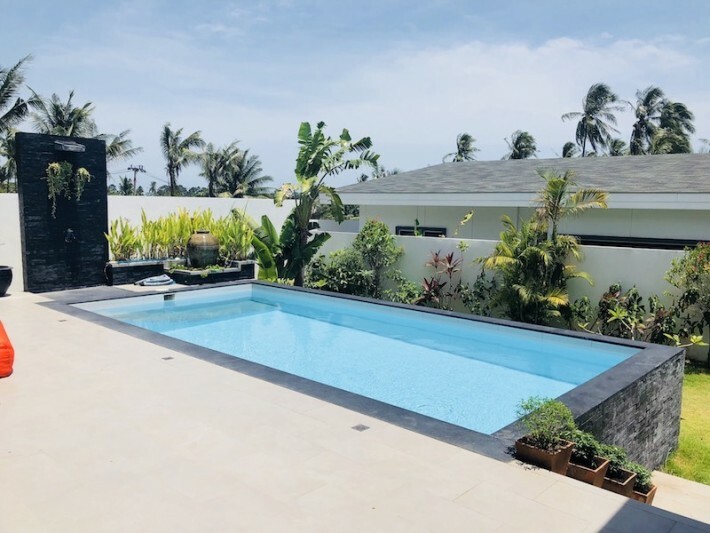 All rooms open onto the wide terrace and the swimming pool which overlooks the manicured green lawn and tropical garden. 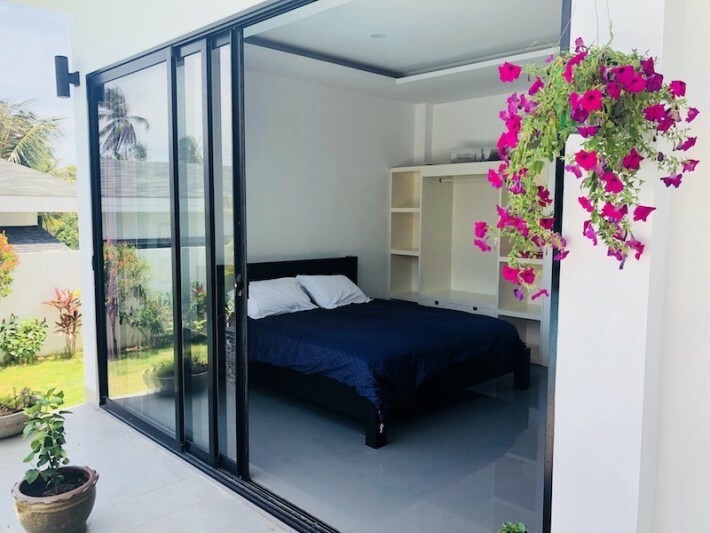 Additionally there is a small storage room accessed from the terrace and between bedroom two and the living area. 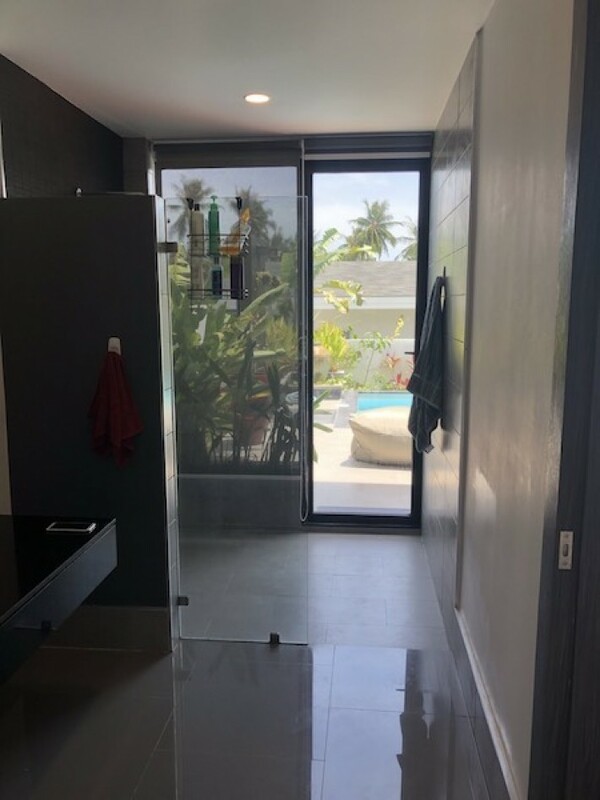 To the rear of the villa is a storage/laundry room. 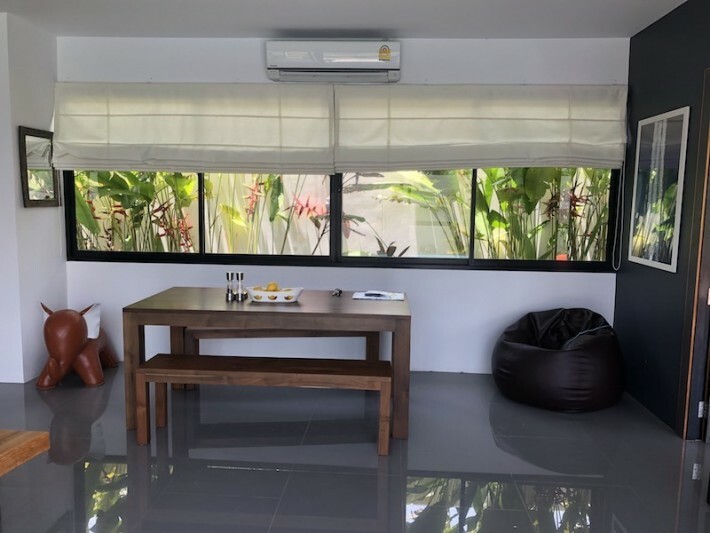 Floor to ceiling sliding glass doors ensure there is plenty of natural light and maximises the space. 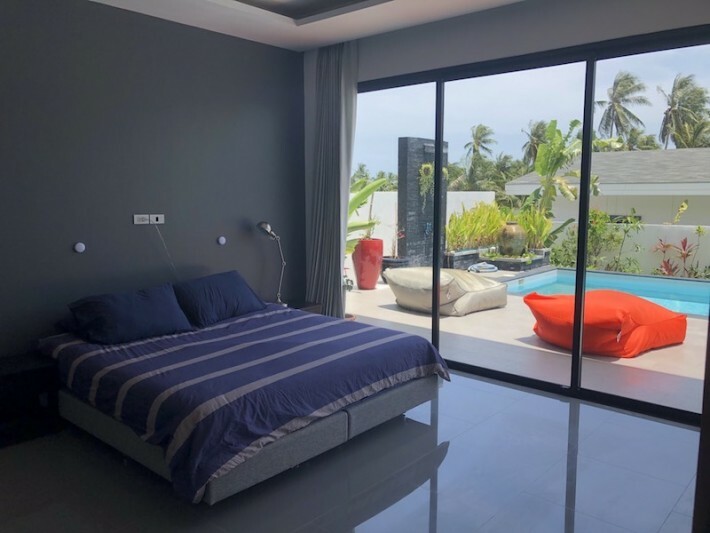 The villa is being sold partly furnished so some items visible in the photos are not included in the sale but could be included by seperate negotiation if so desired. 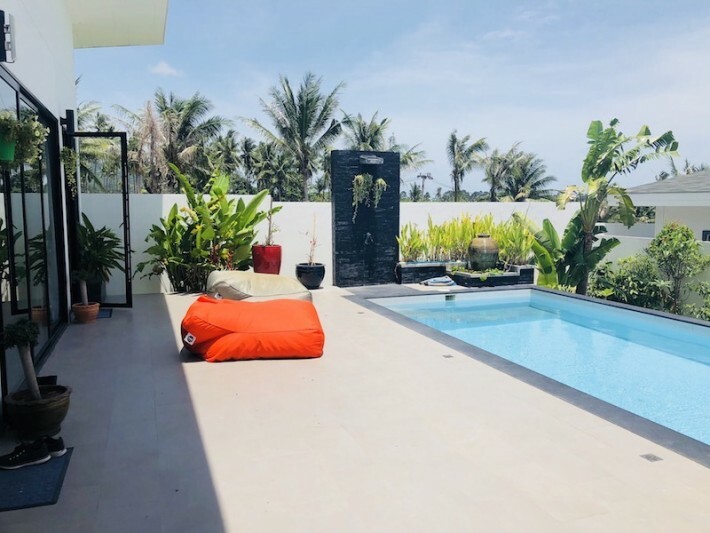 The beautiful and popular Maenam beach which is swimmable all year round is only a short drive away and numerous bars and restaurants along with convenience stores are all within an easy reach. 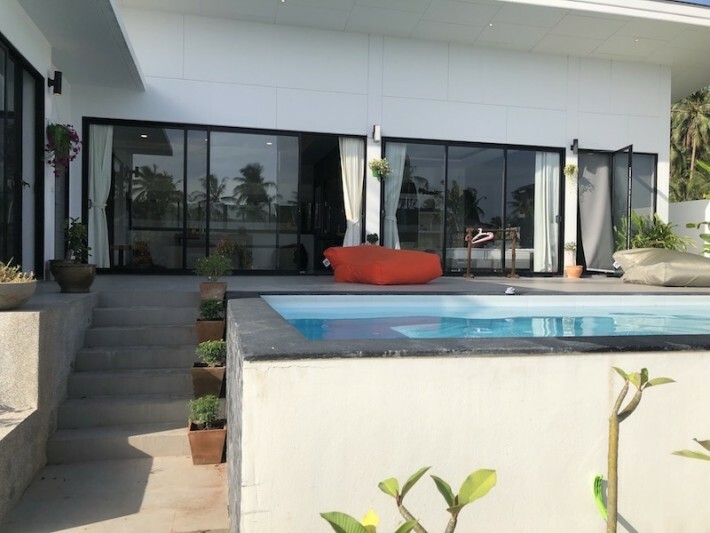 The property is about a 20 minute drive from Koh Samui international airport and the main tourist area of Chaweng is just 15 minutes away. Fisherman's Village and The Wharf are also only a short 10 minute drive away where you can find plenty of boutique shops and restaurants. 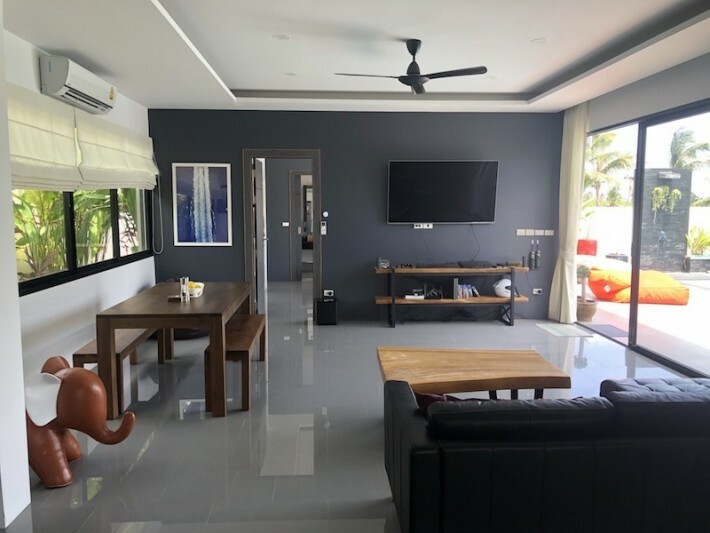 This quiet and private Koh Samui property for sale will make a perfect family or retirement home.